Anthony Bourdain is gone at 61. He sadly chose to take his precious life responding to an internal demon that robbed him of remembering how much he was loved. He was the archetype of the bon vivant, void of snobbism, showing us how to share the joy of breaking bread with new and old friends. Tony will be profoundly missed, but he left us his archived adventures so we could also celebrate traveling to Parts Unknown never forgetting how much we are loved when we face our darkest moments. As a clinical psychologist I have worked with many celebrities who, at the top of their careers, became suicidal because of their inability to accept their good fortune. I do not think however, this was the case with Bourdain. He enjoyed his success, loved his work and his family. So what could have gone on that lead him to the ultimate act of self-destruction? 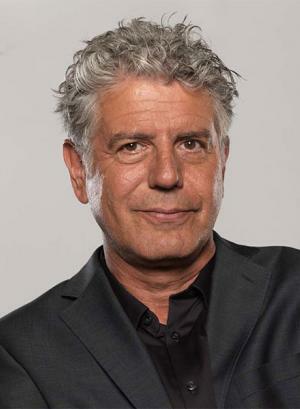 Some celebrities like Robin Williams, another one of my heroes, understandably chose to avoid the ravishes of a terminal illness, but Bourdain seemed to enjoy excellent health, despite his previous history of drug abuse that he courageously traded for a joyful life of wellness. The experience of sending your love at a time when you are unable to love yourself is a powerful antidote to hopelessness. But this love is sent not as a farewell, but as a reminder that love does not differentiate between the giver and receiver. Love is a universal force that does not assess worthiness before engaging. By focusing on those you love in moments of darkness, you’re reminded of how they love you with all your imperfections. And if you were to share with those who love you, the darkest secret that entices you to self-destruct, they would smile and hold you in their loving arms. Anthony Bourdain left us with a beautiful challenge to travel our Parts Unknown with tools he did not have to save him from the Sirens of self-destruction. Rest in Peace my dear epicurean.